The wedding is equated to memories, and memories last a lifetime. 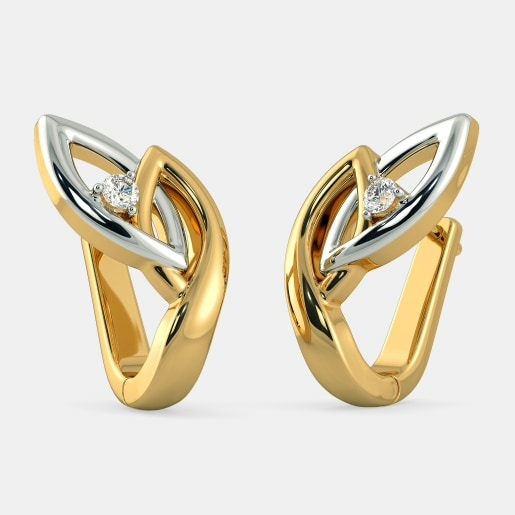 How about investing in something that reminds you of this beautiful union of two souls in a subtle yet realistic way? 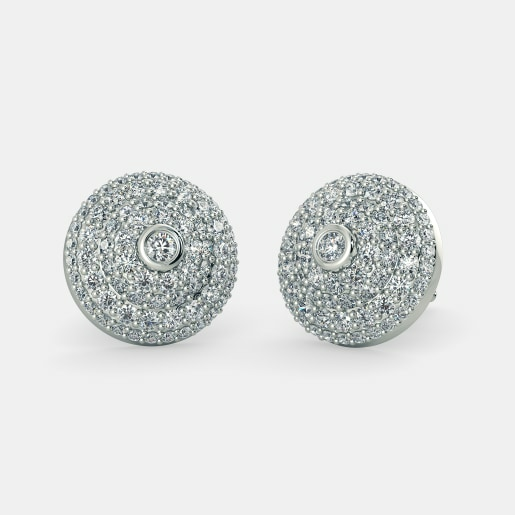 Well, by investing in diamond earrings, of course. 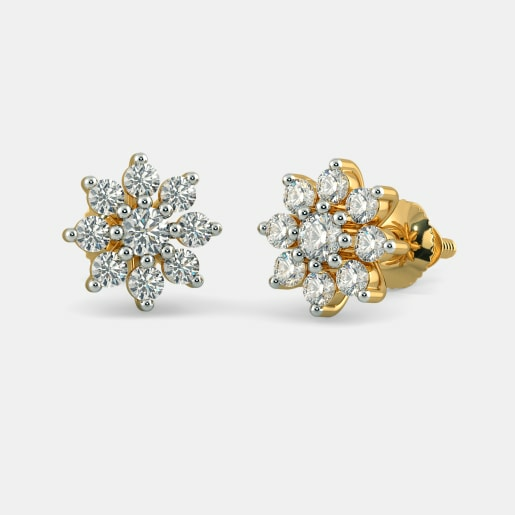 Want to opt for classics that mark elegance and simplicity? 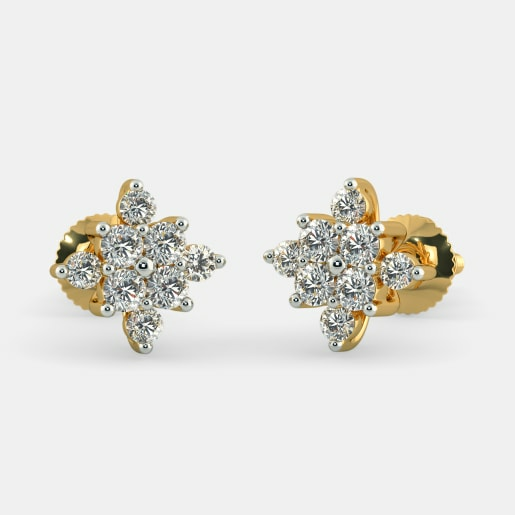 Buy diamond wedding earrings online at BlueStone and choose from the Exotic Beauty Earrings, the Forever Yours Earrings or the Romantic Joy Earrings. 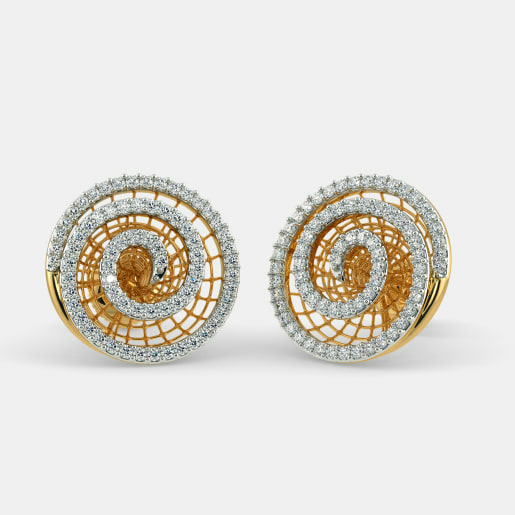 Brides who love stony swirls and spiral play could pick out of the Colada Earrings, the Sarvashretha Drop Earrings, and the Anulekha Earrings. 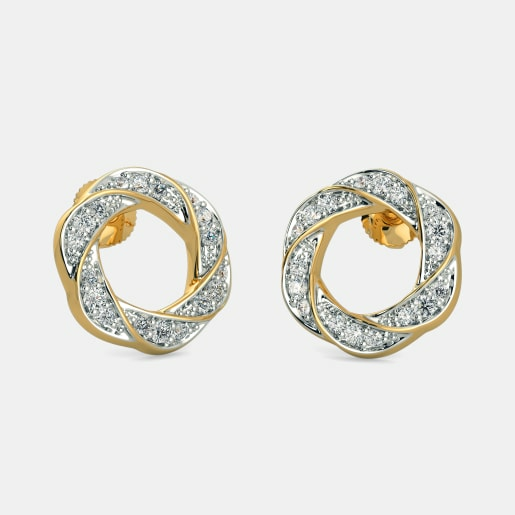 Diamonds are forever. 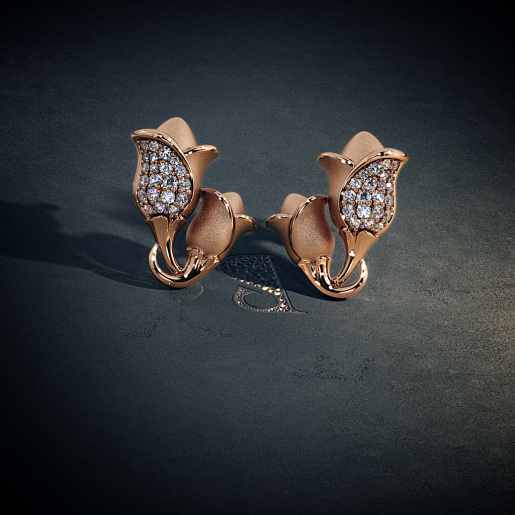 If you have ever possessed one, you will understand the value of these stones and depth of the phrase. 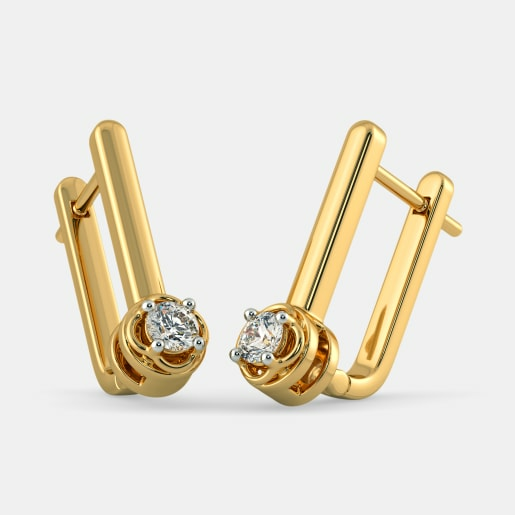 Since weddings are special occasions, do not fret to sport some good diamond wedding earring designs yourself, even if you are attending a close friend’s or family member’s wedding reception party. 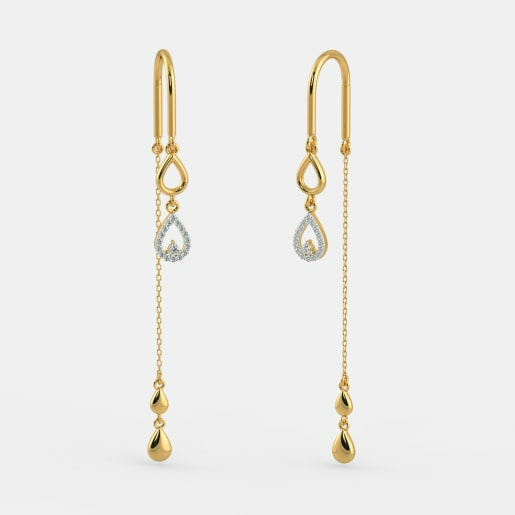 Choose from the Kiran Kanupriya Earrings or the Abharan Earrings for a slight dangle or go simple yet bold with the Naila Earrings or the Cordial Earrings. 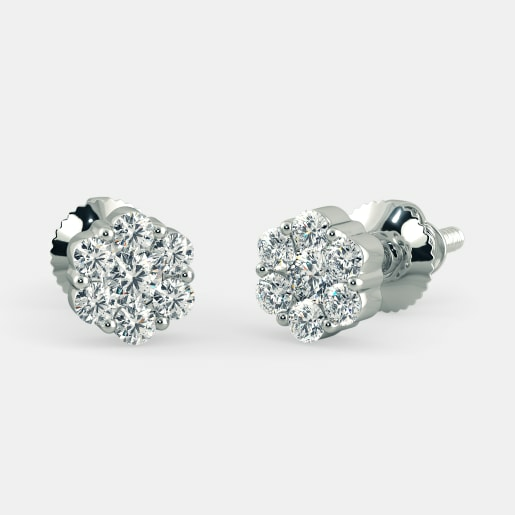 BlueStone makes sure there is a diamond wedding earrings price fitted for everyone’s budget and choice. 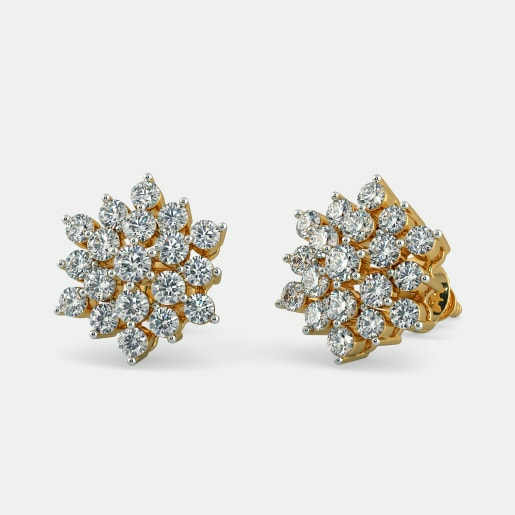 Diamonds are the most fail-safe way of adorning yourself. 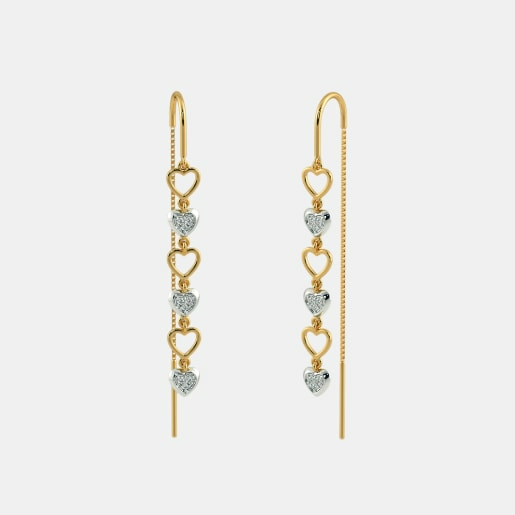 They add spark to an outfit and suit every style. 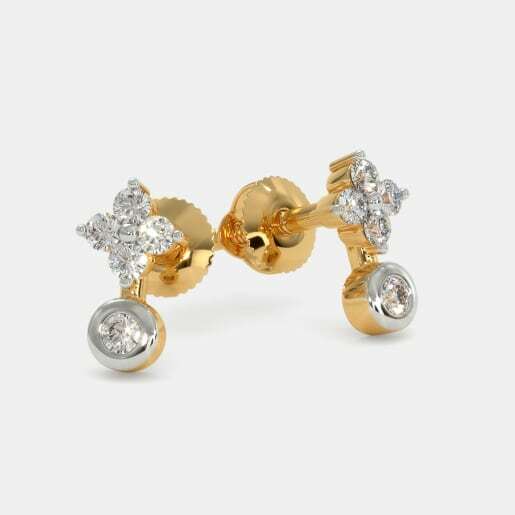 Since every bride has a dream gown or outfit in mind, she is bound to love a dreamy pair of sparkling diamonds to amplify the look too. 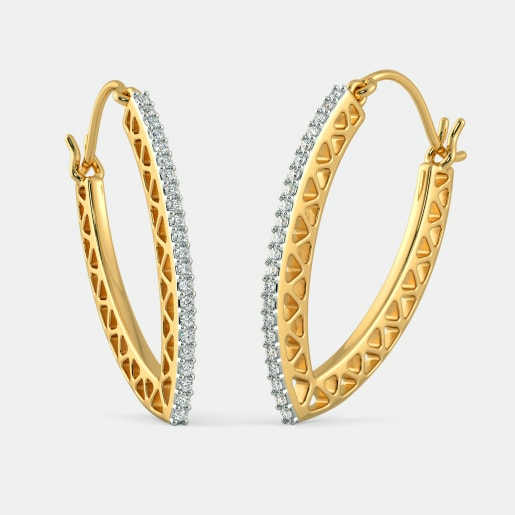 Based on the diamond wedding earrings price at BlueStone, you can scan through the categories of your choice. 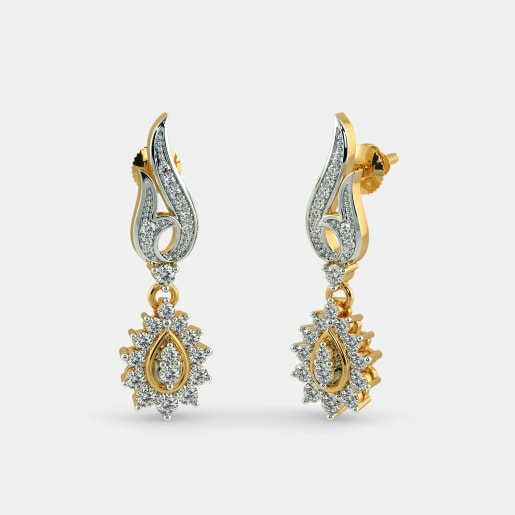 The Chandrika Detachable Jhumka, the Ethnic Meenakshi Jhumka and the Traditional Subarna Jhumka are great choices for the ethnic bride, while the Joyous Heart Drop Earrings, the Ratnali Earrings, and the Midori Earrings are perfect for those opting for wedding gowns. 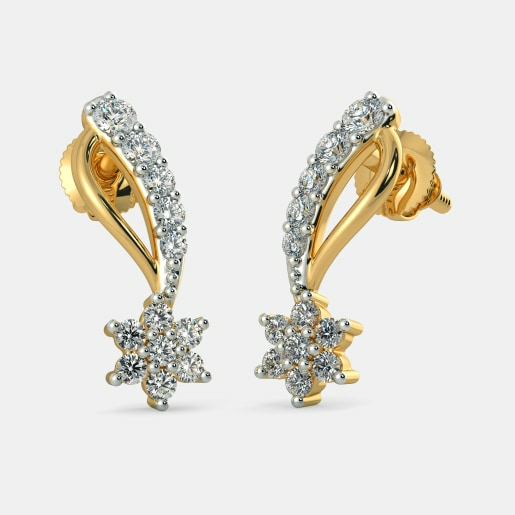 Buy diamond wedding earring designs based on the other pieces of jewellery you wish to flaunt. 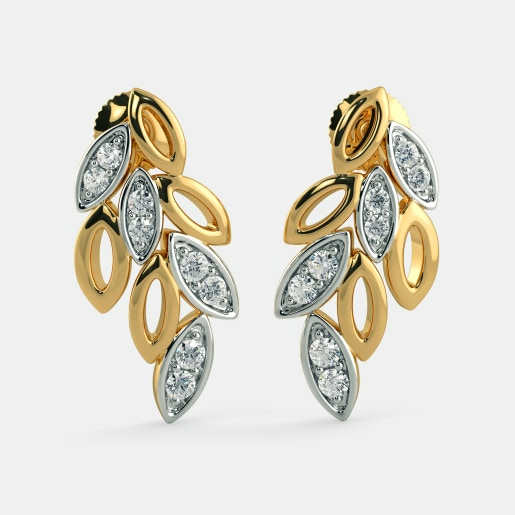 Many brides like to make statement necklace choices and prefer to keep the earrings simpler, to balance the ornament load. 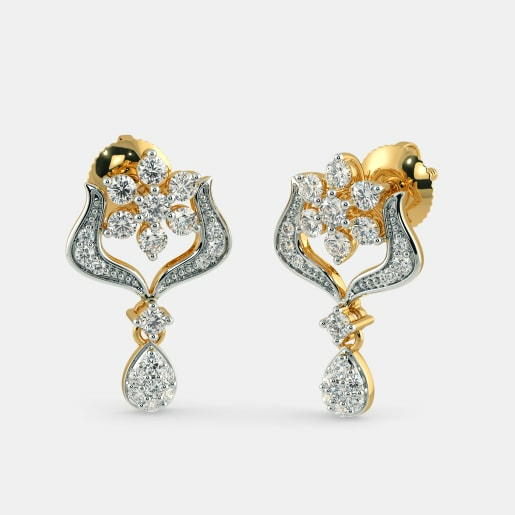 For such brides, who like the earrings to be light and go easy on the style, there are beautiful compilations of spheres or circles such as the Ramos Earrings, the Mayur Earrings, and the Cantis Earrings. 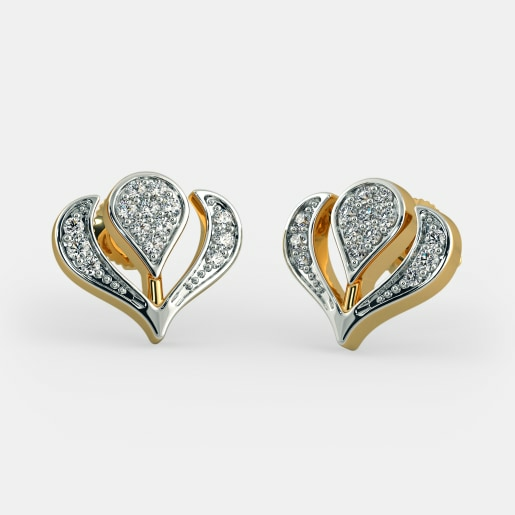 As the new notion goes diamonds are not just forever, but for everyone too. 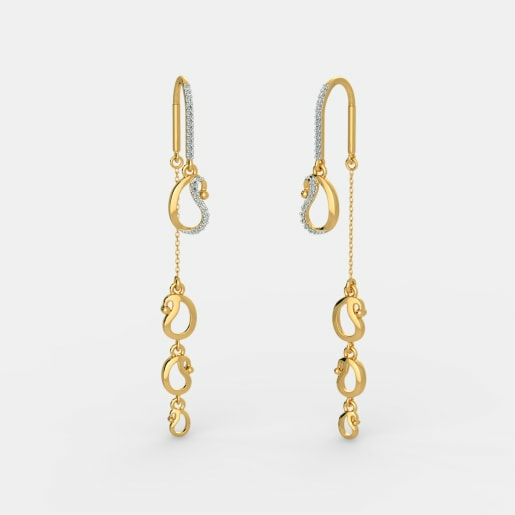 That holds true for BlueStone’s collection. 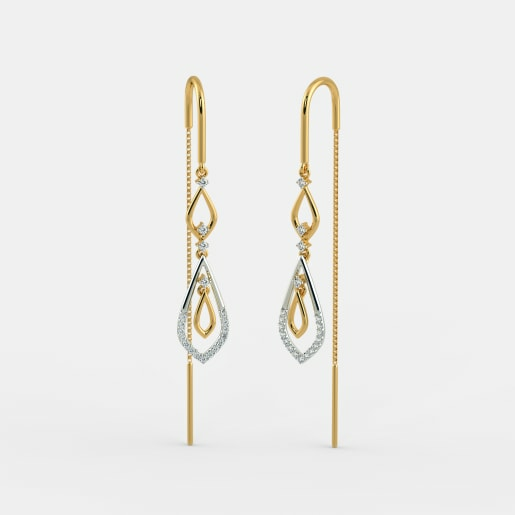 With various price ranges available, you can now buy diamond wedding earrings online. This worthy stone is surely for each and every one. Look at the variety. 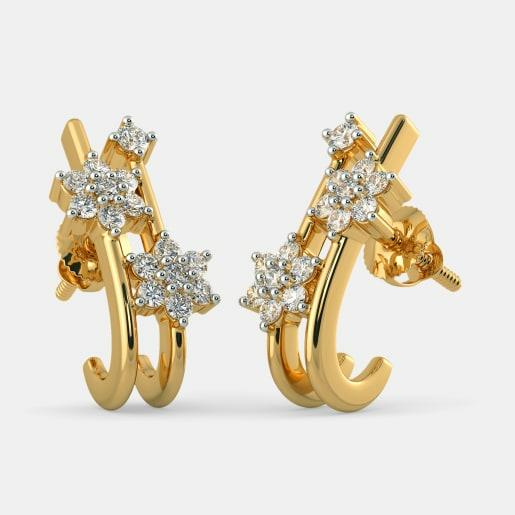 You have compact versions like the Delilah Earrings and the Frangelico Earrings, at the same time you have chunky versions like the Asfoorah Earrings and the Trishna Earrings. 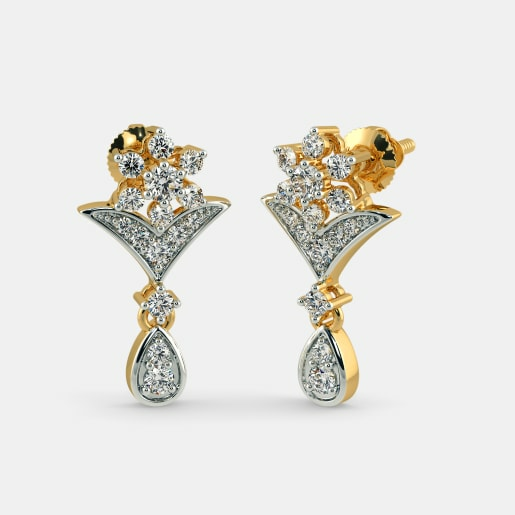 The common factor in all these pieces is the clean cut and lustre that each one of them boasts of. 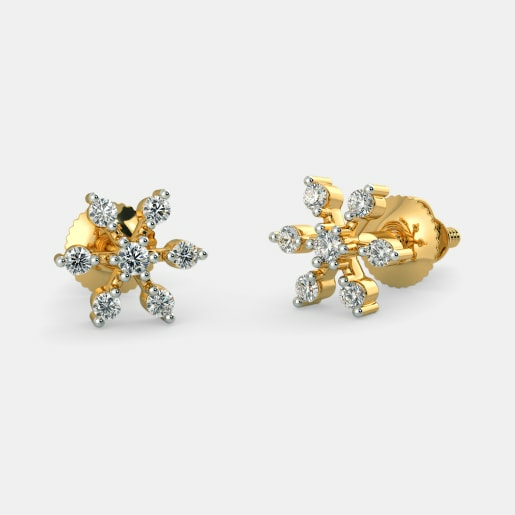 Skilled craftsmanship and a perfect medley of designs are exhibited in the entire range of diamond earrings.